This is a very common sort of bite size snack. It is possible to prepare a dish with crackers and add a variety of toppings. This is where you can get creative. Aside from the typical grated cheese choice, you can add cucumber and cheese or tuna mayo. Your guests will enjoy the selection of alternatives. You can make miniature versions of your favourite pastries. Prepare pies in bite sized options. Use a muffin pan in which to make the pies. Then cover every pie with another layer of pastry. As soon as you’ve baked it, you’ll have wonderful muffin sized pastries. You can do the same with quiche. Whereas you would usually prepare regular sized hamburger buns, you can prepare golf ball sized hamburger buns instead. These can bake into beautiful small burger buns. You can then fill the hamburger buns with minced meat to create cute mini burgers. This will definitely make your guests grin at the idea. A cheese platter is always enjoyed by guests. 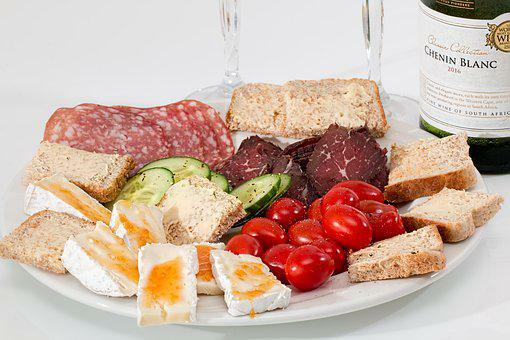 Prepare a platter with a variety of cheeses including blue cheese, brie and camembert. Make certain you place a cheese slicer alongside so that guests can easily slice a piece of cheese . This snack is a massive favourite at braais. There are many varieties of flavours of biltong which you can choose from to create a delicious biltong platter. It would be a fantastic idea to get a biltong slicer which suits your requirements. These are extremely handy pieces of catering equipment that could make your hosting job much simpler. Prepare a platter and set the different flavours of biltong on it. For a tiny flavour twist you can add a dip also.